Truth can be stranger - and more fascinating - than fiction. Anna Funder tells extraordinary stories from the underbelly of the most perfected surveillance state of all time, the former East Germany. Funder meets Miriam, the sixteen-year-old who might have started World War III. She visits the regime’s cartographer, obsessed to this day with the Berlin Wall, then gets drunk with the legendary ‘Mik Jegger’ of the east, once declared by the authorities ‘no longer to exist’. And she finds spies and Stasi men, still loyal to the Firm as they wait for the next revolution. 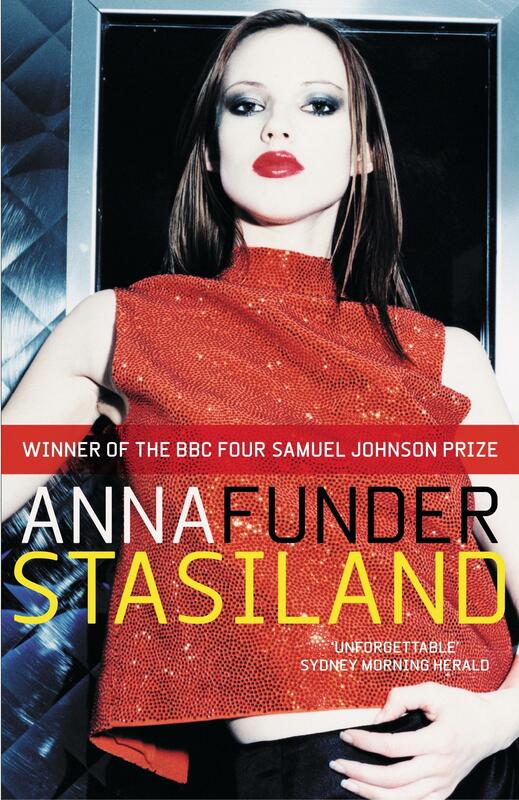 Stasiland is a lyrical, at times funny account of the courage some people found to withstand the dictatorship, and the consequences for those who collaborated. Funder explores the daily chaos and harsh beauty of Berlin, a place where some people are trying to remember, and others just as hard to forget. Stasiland is a brilliant debut by a prodigiously gifted writer.